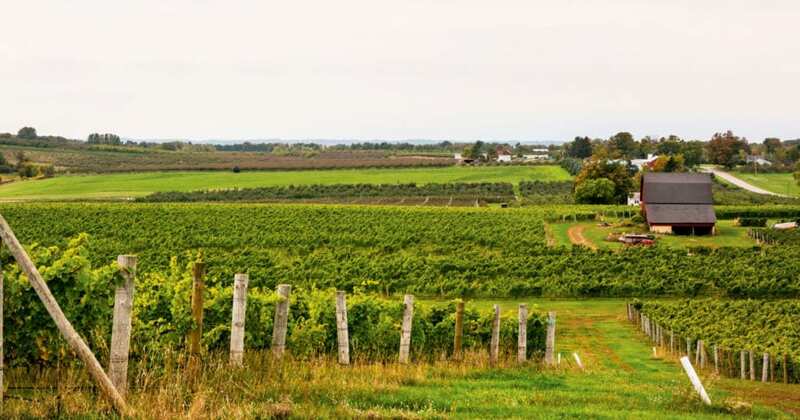 Chateau Grand Traverse on Traverse City’s Old Mission Peninsula has been a staple of the Northern Michigan wine industry since the winery’s founding in 1974. Read on to discover how the winery has aged to become a favorite in both Michigan and abroad (think China!). 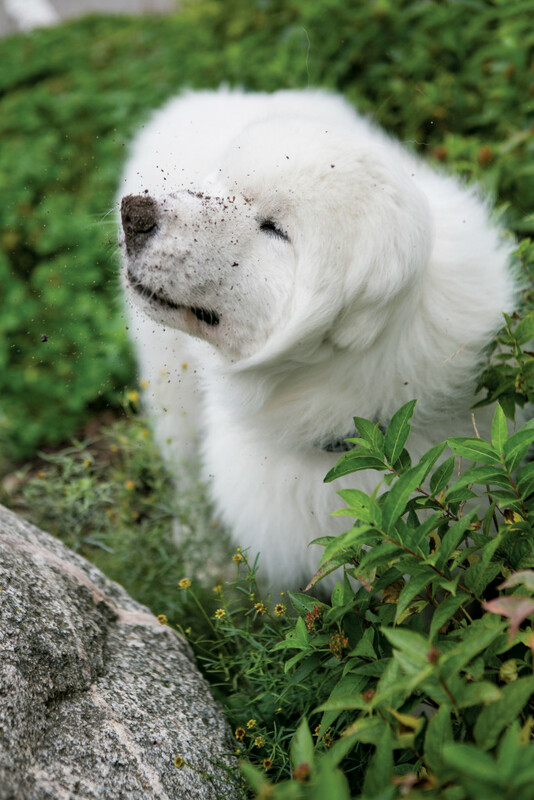 This article is featured in the June 2014 issue of Traverse, Northern Michigan’s Magazine. To an unknowing eye, the living is easy on this early summer weekend at Chateau Grand Traverse. Beside symmetrically undulating rows of riesling under the bright June sky, throngs of thirsty wine tourists load cases into their trunks. In an adjacent warehouse a forklift stacks pallets bound for Monday morning semi transit to markets across the country. 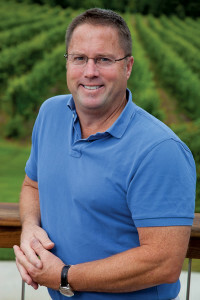 Celebrating its 40th anniversary and prospering under the leadership of president Edward (Eddie) O’Keefe III and his brother, vice president Sean O’Keefe, the family’s second generation of oeno-entrepreneurs, Chateau Grand Traverse is ground zero for Northwest Michigan’s exploding wine culture and fast becoming a benchmark for world-class riesling. 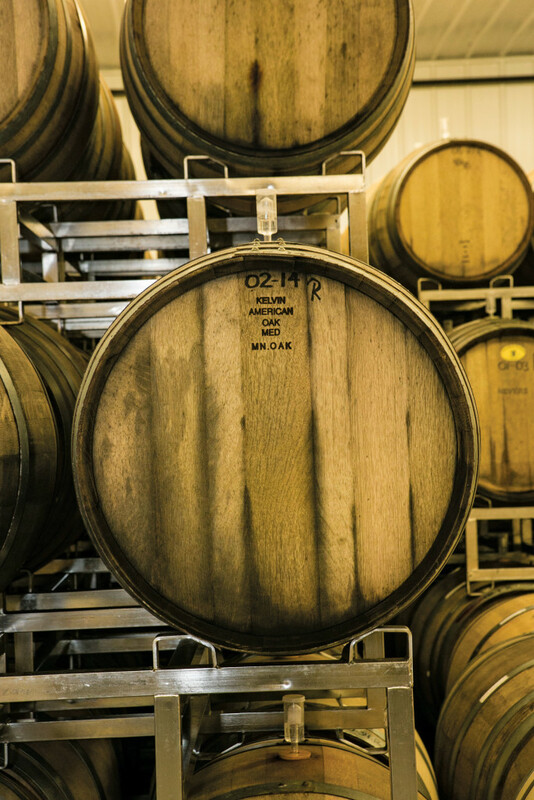 Peeling back the lacquer, however, reveals a compelling 40-year story that is itself the history of Northwest Michigan’s wine industry. Chateau Grand Traverse was founded in 1974 by family patriarch and local wine pioneer Ed O’Keefe Jr., whose struggles against market forces and Mother Nature sometimes saw his dream poised on the precipice of ruin. “Starting out was very difficult,” says president Eddie of his family’s struggles to get established. “Awareness of and demand for Michigan wines wasn’t yet established. Interest rates in the 1980s were at 22 percent, and banks were calling in their agricultural loans. We would rent box trucks, load up pallets by hand and spend the next two days driving all over the state delivering wine to make payroll.” The brand gained traction and built a reliable in-state distribution network, and the winery began to take off in 1992 with exhilarating vertical growth in sales and production. Then came 1995 and 1996, two of the coldest Northern Michigan winters in the last century, with weeks of sustained subzero temperatures that effectively wiped out two entire vintages. 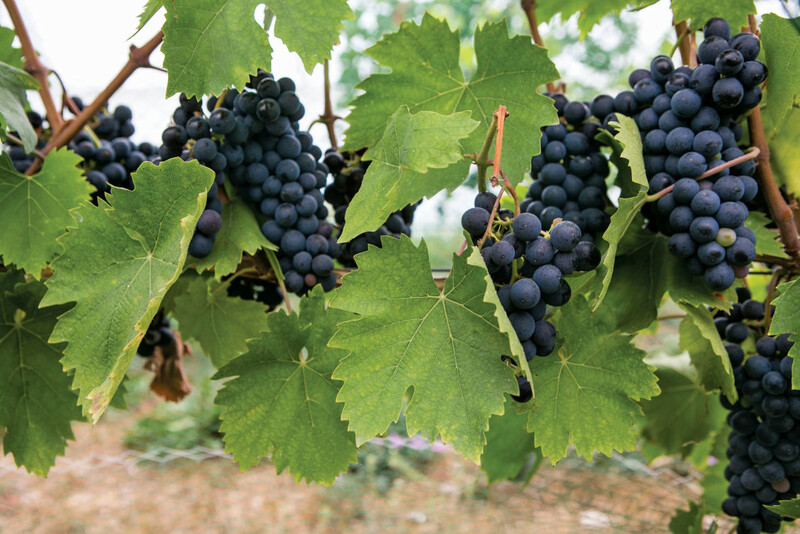 Without access to Michigan fruit, the O’Keefes were forced to innovate to keep their winery alive and sought out grape growers in Washington State to supply fruit for a new label, Grand Traverse Select. The nonvintage wine carries a generic American appellation and a competitive price point that bridged the gap while the winery’s Old Mission vineyards recovered from the wintry devastation. “This is our business and our livelihood,” Eddie adds. “We’ve had to diversify in order to succeed against market demands and natural disasters. We make wines that are available at Sam’s Club and Meijer, and we make wines that are available on the best wine lists in Chicago and Metro Detroit.” This broad market exposure and wide range of styles has established Chateau Grand Traverse as the seventh largest of all wine brands sold in Michigan, creating a space for Northwest Michigan wines alongside über-visible household California names like Kendall Jackson and Ménage à Trois. After completing undergraduate work at University of Michigan, Sean moved to Germany, where he spent two and a half years studying winemaking and viticulture at FA Geisenheim, described by Sean as “the Hogwarts of riesling.” This intensive oeno-immersion connected Sean with legendary riesling luminaries like Helmut Donnhoff and Johannes Leitz, whose philosophies and methods guided Sean’s decisions at Chateau Grand Traverse when he returned in 1998. The world stage has taken notice, as Food & Wine magazine dubbed the Chateau Grand Traverse Whole Cluster Riesling one of its top ten editor’s picks in 2011, and revered international wine critic Jancis Robinson made O’Keefe’s 2010 Lot 49 Riesling her “wine of the week” in 2012, later singling out the winery in her book, American Wine. Chateau Grand Traverse was recently lauded on NPR by riesling guru Stuart Pigott, and is identified as a world class riesling producer in Sotheby’s Encyclopedia of Wine. Sean takes these accolades and the exploding success of the area’s riesling overall as a matter of course owed to newly enlightened viticultural practices and terrific terroir. “A lot of winemakers want to play around with wine but making riesling is learning about how to do as little as possible. It truly happens in the vineyard,” Sean says. 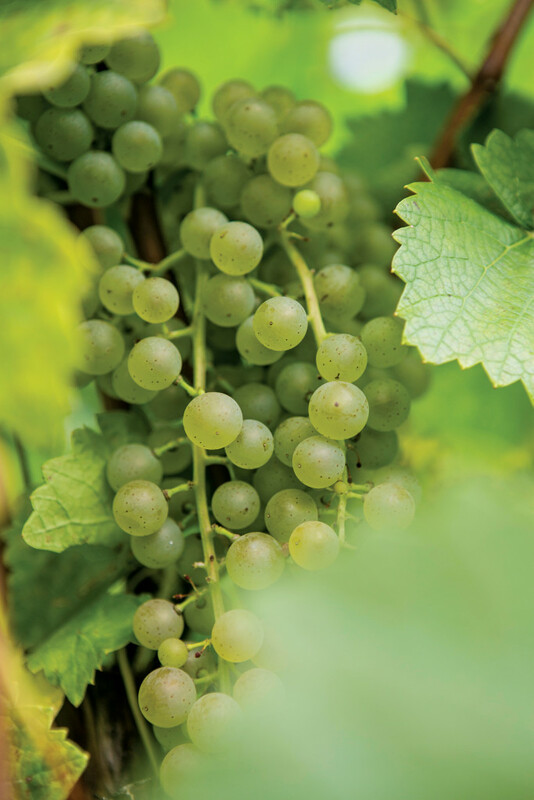 With 125 acres under vine and an additional 80 acres under long-term contract, Chateau Grand Traverse has unmatched access to a diversity of vineyard sites to integrate into its riesling program, a key component to the winery’s consistent quality. “We have vineyard land from the base of [Old Mission] Peninsula to the lighthouse,” Sean explains. 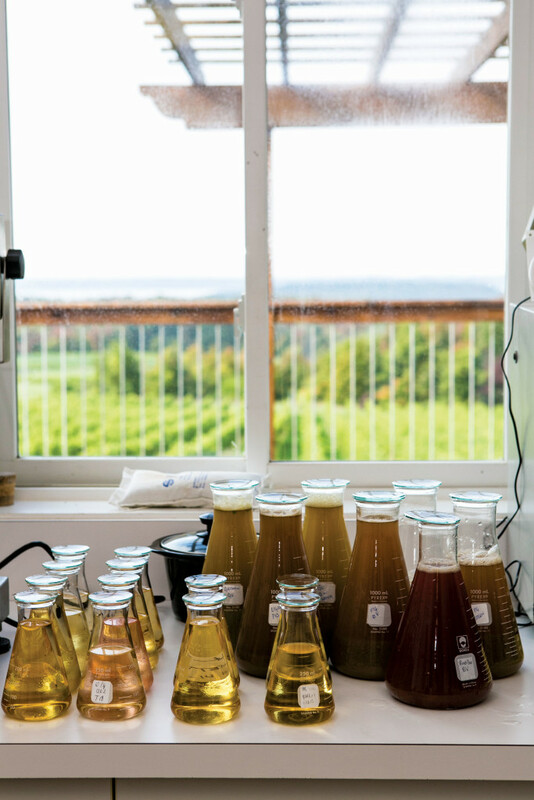 “This allows us to blend from the microclimates to achieve balance in our rieslings whether the vintage is exceptionally hot or cool.” Fruit from north-facing slopes near the tip of the peninsula add acidity in warmer years, whereas inland vineyards provide longer ripening during colder harvests. While Sean maintains the Old World maxim that great wine is made in the vineyard, he and Chateau Grand Traverse head winemaker, Bernd Croissant, are as meticulous in the winery as they are in the vineyard, favoring minimal yeast inoculations, long drawn-out fermentations and extended contact between the wine and its lees to impart texture and complexity.